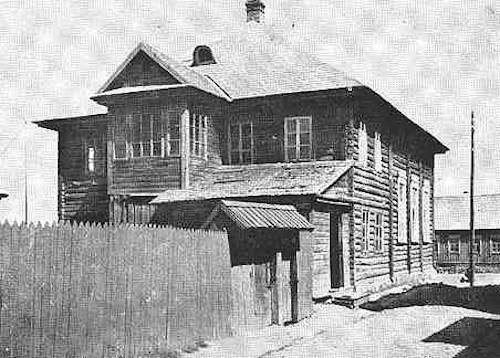 Situated halfway between Lubavitch and Vilna, the town of Dokshitz was mostly unremarkable, not unlike the many others Jewish settlements that dotted the Belarusian countryside. It had seven synagogues, five of which followed the Chassidic tradition, and a population of mostly craftsmen and small-time traders. Yet if there was one thing that set the shtetl (Yiddish for townlet) aside, it was the devotion and inspiration of its denizens, many of whom were Chabad chassidim. A leading figure in the town was Rabbi Yekusiel Deitsch, who was better known by the moniker Kusheh Dokshitzer (Kusheh is a familiar diminutive of Yekusiel). A teacher of small children, Kusheh was a renowned Torah scholar, who would complete the entire Talmud every year. 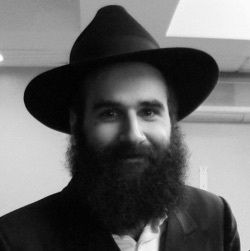 Since the majority of his time was spent in Torah study, he would live in the Lubavitcher synagogue, where his daughter would bring him food from home each day. It once happened that Kusheh’s daughter had an infection of sorts in her eyes. Losing no time, the worried father traveled to the town of Lubavitch to confer with the Rebbe Rashab, Rabbi Shalom Dov Ber of Lubavitch. Upon hearing from Kusheh of his daughter’s state, the Rebbe advised him to return home and obtain a yellow eye cream from Berel Moshe Shmotkin, who acted as the town’s aptaiker (“pharmacist”). Elated with the Rebbe’s advice, Kusheh hurried home and promptly acquired an eye cream from Berel Moshe and quickly applied it to his daughter’s eyes. Time passed, however, and nothing changed. Disappointed, Kusheh returned once again to Berel Moshe the Aptaiker, this time insisting on receiving a yellow cream as per the Rebbe’s instruction. “But the only eye cream I have is not yellow,” argued Berel Moshe. “So make it yellow,” replied Kusheh. And that is exactly what he did. Kusheh applied the freshly pigmented cream to his daughter’s eyes, and they reverted to their original healthy state. I'm wondering whether it's more the chossid's faith in the Rebbe that did it, or the Rebbe's heavenly insight. Obviously both are required, which which takes the stage?